If you’re one of those people who can’t step out of the front door without getting lost, there are about a trillion apps, gadgets and tools to help you find your way. 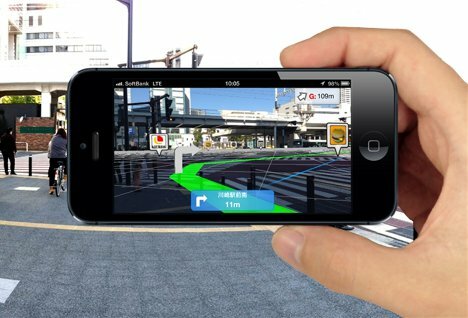 But not many use augmented reality to actually guide you to your destination with pictures and arrows. The MapFan Eye app is the next best thing to having someone actually hold your hand while you walk or bike to where you need to be. You just put in the address you need to get to and the app uses your iPhone’s GPS to get you there. You can choose to look only at the live video that shows you an arrow pointing you to your destination (complete with distances) or a split screen with the overlay on one half and a map graphic on the other. Either way, it would take a pretty concerted effort to lose your way while losing this app.